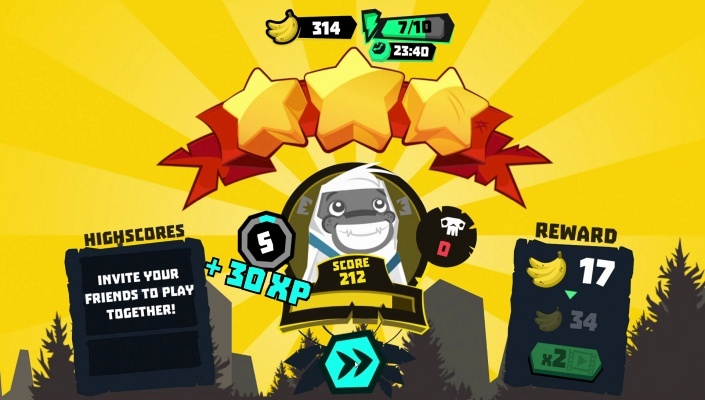 MoBu 2 Race with Friends is a Free Android , Mobile Multiplayer Game featuring a beautifully stylised and humorous art style . 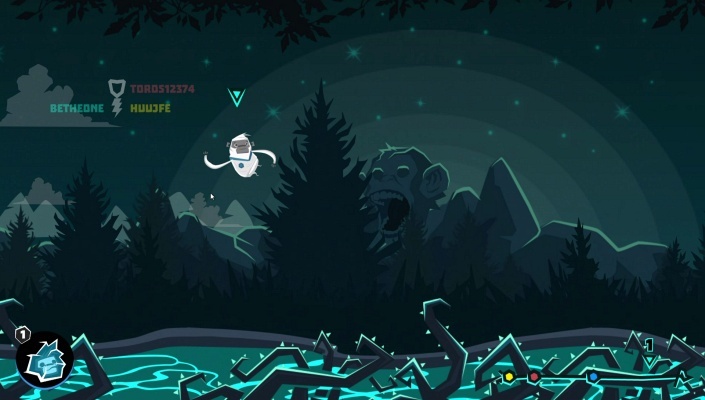 MoBu 2 , one of the most fun real-time online multiplayer games ! 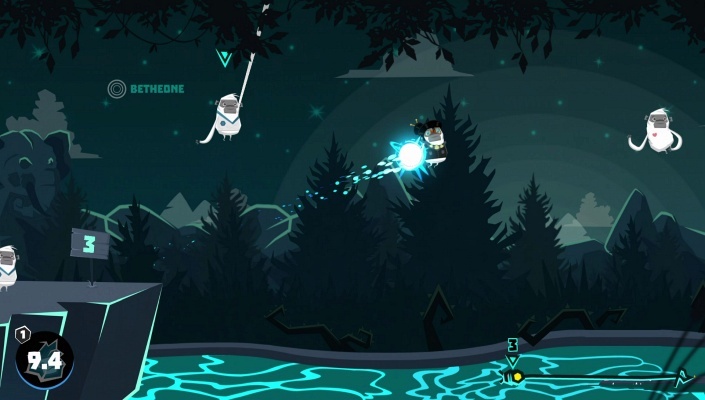 Swing into fun with MoBu, maneuver through uniquely designed environments. The innovative game mechanics combined with beautifully stylised and humorous art style will give you a memorable and fun game experience. WANT BANANAS? MOBU IS BACK FOR AN ADVENTURE! The story now continues with friends in the running sequel to award-winning game MoBu - Adventure Begins... Get ready to swing into online fun! MULTIPLAYER ARENA FUN WITH REAL PLAYERS & FRIENDS! Race against real players real-time while escaping obstacles in an online multiplayer arena to show off your skills. Every game in the arena is a different adventure and unique fun when combined with magic & spells. - A Gloomy Jungle with vile creatures running unleashed! - Toxic environment with many challenges to face. - Pollution strikes! A toxic environment with many challenges to face. - Halloween special: Horror Games! - Golden Temple with Merciless Traps! ... and more fun with game themes to come! 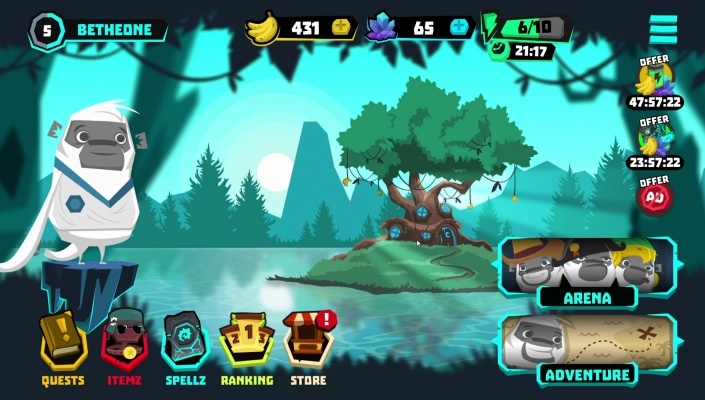 USE YOUR SPELLS AND ROCK THE MULTIPLAYER GAME MODE! Would you like to freeze or disorient your opponent, or just need further speed? All you need is spell cards! Feel the power with 24 offensive and defensive spells in the multiplayer arena. Get your online opponents to run away from you! You can make their run stop by zapping them with a lightning or laugh at your friends while you are having fun in your protective shield. SHOW YOUR ITEMS OFF, SWING WITH STYLE! We packed MoBu 2 - Race With Friends with more than 450 million fancy equipment combinations. Enhance your adventure with cool hats, belts, fun glasses and even angel wings. Step into the arena spotlight and show your fun style off to your friends in the multiplayer arena! EXPRESS YOURSELF WITH ANIMATED GESTURES! Well, apes may not be able to talk, yet there are lots of animated gestures to express yourself in game lobbies in fun ways. Get ready for funny moments! - Climb the online leaderboards and challenge the best players in the world! Adventure, swing, race, and get ready for the fun of your life!